Presenting 50 Nicholson Street, Mitchelton. Built in 2013 and positioned in coveted Nicholson Street, this stylish contemporary home is the perfect residence for anyone seeking a low-maintenance, quality lifestyle. Offering a cleverly designed floor plan that delivers multiple living areas over two spacious levels, the home rests on the high side of the street capturing City glimpses. Downstairs and at the heart of the home is a generous open plan kitchen, dining and lounge area leading to a covered outdoor area - perfect for entertaining with friends or to relax and unwind. This level also includes a study nook, internal laundry and powder room. 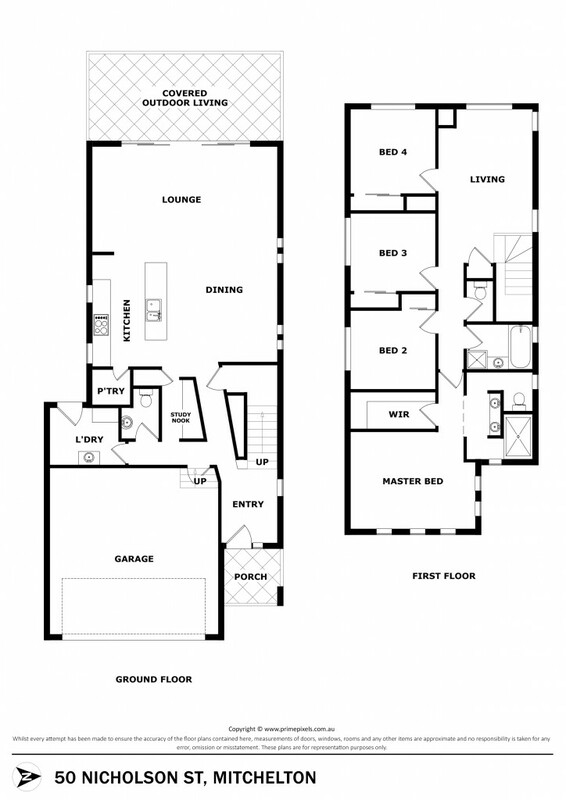 Upstairs features an additional living space as well as four well-proportioned bedrooms, all with built-ins, including a grand master bedroom retreat complete with ensuite and walk-in robe. With imposing street appeal, this is sure to be the dream package you've been searching for! Located in thriving Mitchelton, just 9kms approximately from the City and moments to bustling Blackwood Street, Brookside Shopping Centre, a selection of schools and Mitchelton and Oxford Park train stations - position is perfect.